A pulse oximeter is a small device that has a monitor which displays the oxygenation of the patient at all times. It also shows the heart rate of the patient. 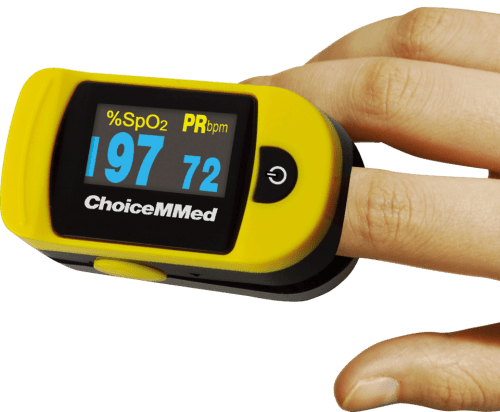 The pulse oximeter is available in portable, battery-operated versions. It is often plugged into a medical monitor, producing a photoplethysmograph so that the medic can see the oxygenation of the patient at all times. Most monitors connected to the oximeter also display the heart rate. There are also portable pulse oximeters operated by the battery for monitoring of blood-oxygen in homes. The first oximeter was manufactured in the 1940’s. The first modern pulse oximeter, on the other hand, was developed in the year 1972, it was mass produced and gained popularity in the 1980’s. Important Note: Notwithstanding any of the information in this article consult your doctor on the use of this device, and how it can be used to monitor your personal health situation. Also, consult the instructions and warnings for your particular device. The monitored signal bounces itself along with the heartbeat due to the expansion and contraction of the arterial blood vessels with each heartbeat. By examining the varying part of the absorption spectrum, a monitor can ignore the other tissues or polished nails, even though black nail polish can alter the pulse oximeter readings, and recognize only the absorption caused by the blood in the arteries. The detection of the pulse is important to the oximeter’s operation, and it will not function at all if there is none. From ancient times, humanity has discovered that to be healthy and balanced; one needs to train his breathing, making it deep and relaxed. Every cell, every little part of our body needs proper oxygenation to function properly – and how can we create this strong flux of oxygen in our blood if we take fast shallow breaths? Everybody needs to learn how to breathe deeply. However, for most of us, it’s not necessary to measure the oxygen levels in our blood. But for some people – patients with asthma or cardiovascular diseases, pilots and athletes – it’s mandatory to be constantly aware of their blood oxygenation, this way detecting and preventing dangerous scenarios. Until recently, if someone wanted to know if their blood is receiving enough oxygen, they had to go to a hospital or another health care facility, give a sample of blood then wait until it gets analyzed in the laboratory. This procedure takes time, money and effort, not to mention the fact that it doesn’t allow one to measure his oxygen levels in an extreme situation – when flying an airplane, climbing a mountain or having breathing difficulty. To use the oxygen monitor, all you have to do is clip it to your fingertip or ear lobe and look at the digital display – the results will show up instantly! 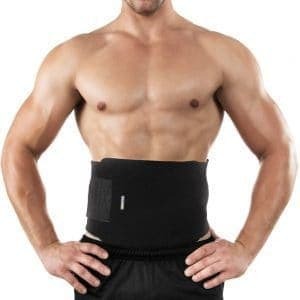 The method is safe, non-invasive, fast and reliable. The monitor works by emitting two light frequencies – red and infrared. The hemoglobin-rich in oxygen (also called saturated hemoglobin) will absorb the infrared light, while the hemoglobin-containing less oxygen will absorb the red light. There are several types of pulse oximeters present on the market. Some display only the oxygen content of the blood; others also show the heart rate. Additionally, new models have marked improvements allowing to show accurate results even in complicated situations, involving sudden movement or poor blood circulation. It is often helpful to consult pulse oximeter reviews to find the features and price that fit your needs. Besides the pulse oximeter, another useful gadget (especially for people who work in factories, laboratories, and other toxicity-prone areas) is the oxygen deficiency monitor. It calculates the levels of oxygen in the ambient air, preventing hazardous situations related to leakages of dangerous gasses and chemicals. Individuals can use a pulse oximeter to monitor themselves, and if anything should happen, they can immediately call their doctor and get a diagnosis. On the other hand, conventional pulse oximeters have disadvantages. There is inaccuracy in the readings when the patient has poor blood circulation. Because of this, medical decisions are hard to make. Today, though, newer models have been made allowing for more accurate pulse oximeter readings without needing an arterial blood gas test. Doctors are also using pulse oximeters to assess the medical condition of the patient without dealing with the wires or the pulse oximeter machine. They can now do their rounds and move from room to room easily.